Learning which nouns have the “en” or “ett” article can be tricky. By playing the “En or Ett” game you can quickly develop the skill of telling them apart! Download the app now and challenge yourself! 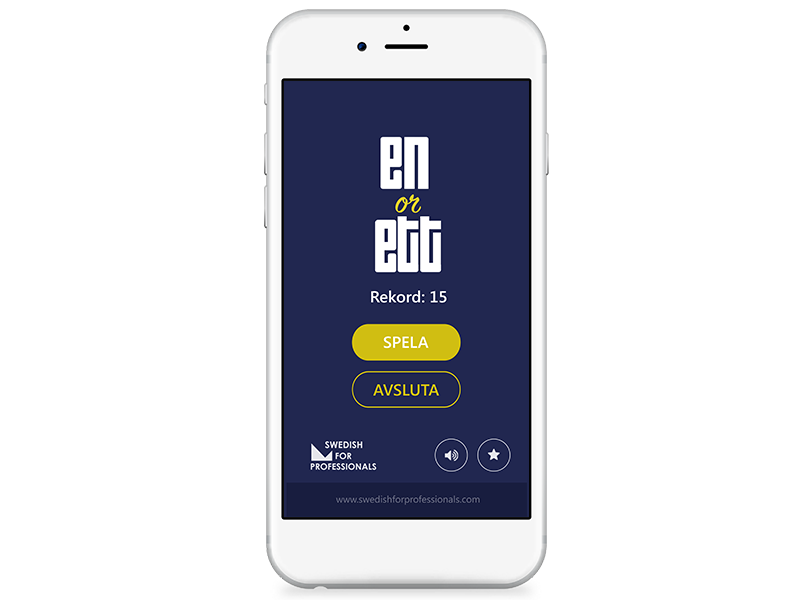 If you, like most people who learn Swedish, are finding it hard to remember whether Swedish nouns are “en” or “ett” words – this game is for you! We know that learning which nouns have the “en” or “ett” article can feel almost impossible. We also know that you develop a feeling for what is what at a quicker pace by practicing, practicing and practicing some more. By playing the “En or Ett” game you will quickly develop the skill of telling them apart! Did you know that interactive learning can increase long-term retention rates by up to 10 times? “En or Ett” was developed as part of Swedish for Professionals’ blended learning approach which includes a combination of motivating language coaches in class as well as digital tools that can be used outside of it in order to enhance the learning process! Read more about our innovative and customized language courses here. Please contact us below and we will be in touch shortly!